Virginia State to start 2018 football season on the road and playing against higher competition. Virginia State is coming off a perfect regular season and hoping to build off of it with another hot start. VSU will start the season with two games against Division I opponents, including rival Norfolk State. 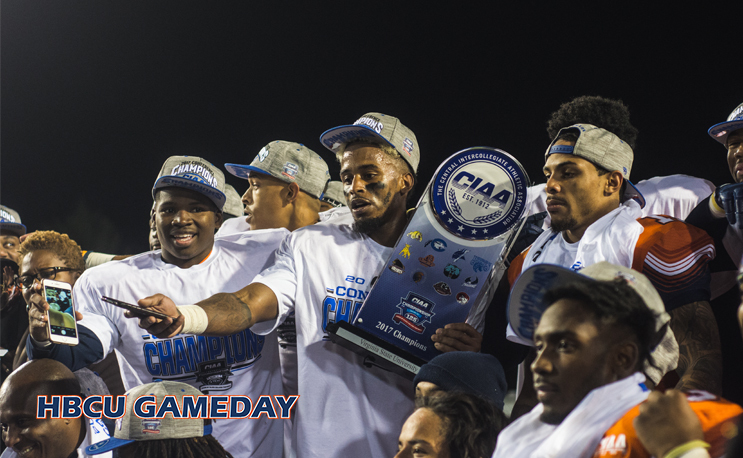 The defending CIAA champs will start the season on the road against NSU on Sept. 1. It will look to repeat the feat it pulled off last season, knocking off its former CIAA rival and sister school on the road 14-10. VSU will then travel to Robert Morris, an FCS school in the Northeast Conference in the first-ever meeting between the schools. It will conclude its non-conference portion of the schedule on Sept. 15 in Raleigh against St. Augustine’s before kicking off CIAA play against Johnson C. Smith on Sept. 22. After a month on the road, VSU will host Shaw and Elizabeth City State in back-to-back games at Rogers Stadium. The matchup against ECSU will pit head coach Reggie Barlow against former SWAC rival Anthony Jones, formerly of Alabama A&M and recently announced as ECSU coach. Oct. 13 will be a showdown in the DMV as VSU looks to add another chapter to what has become a high-scoring, fast-paced rivalry with Bowie State. VSU beat BSU 47-35 last season in a game that ultimately helped it land a spot in the CIAA Championship Game. Lincoln and Chowan will show up in Ettrick in back-to-back weeks to finish out the home slate for VSU. The LU game on Oct. 20 will serve as VSU’s homecoming game while the Chowan game will serve as Senior Day. VSU will conclude its regular season on the road where it will take on its closest rival, Virginia Union, on Nov. 3. The Trojans return several key players from last season’s squad that went 10-1, including quarterback Cordelral Cook, but they will have to replace a huge offensive hole as Trenton Cannon will be trying to make plays on Sundays. SEPT. 29 SHAW* ETTRICK, VA 2 P.M.
OCT. 6 ELIZABETH CITY STATE* ETTRICK, VA 2 P.M.
OCT. 20 LINCOLN*# ETTRICK, VA 2 P.M.
Oct. 27 CHOWAN* ETTRICK, VA 2 P.M.